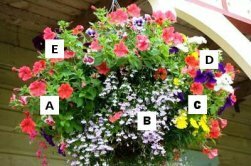 Container Gardening Ideas: E-Z Vegetables, Herbs, and Flowers! Are you an expert in container gardening, or a fledgling beginner? STOP! You're in the right place! Either way, here you'll find useful gardening ideas, tips, and information that will make your soon-to-be or existing home gardening experience a delight. 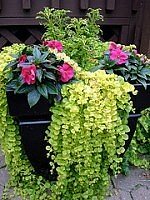 You can also learn what flowers and plants do the best in which containers. Get a refresher course on what gardening tools and gardening supplies free up more of your time. Learn about patio gardening, and other great locations for your beautiful displays. 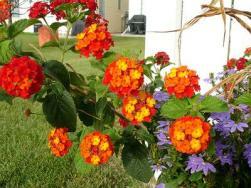 All of these ideas will lead to a more creative and successful flower gardening experience. Never put tomato plants in containers or potted a tree? Stressed on just where to start? Don't worry! Why? Because, from window boxes and hanging baskets, to exotic plants and herb gardens, we'll take this wonderful journey together. We'll discuss everything you need to do, and the pitfalls to avoid along the way. There are very few vegetables you cannot grow in pots or containers. No matter how small your space, you can find room to grow a delicious supplement to your regular groceries. Use our tips on Growing Vegetables in Containers, and enjoy the fruits of your labors! 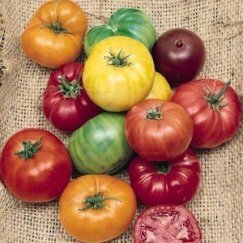 and many other vegetables, organically, from heirloom seeds, without pesticides or herbicides. Delicious, nutritious and great for the planet! Use our tips to improve your yields, fight off the pests, and extend your growing season into late Fall and even Winter. You can even bring your veggies indoors! Love This Site? Please Let Us Know! If you're enjoying our site, then please Click here to tell us. You can also use the comments to give us suggestions! That ugly slab of gray concrete is about to get a brand new lease on life. Whether you choose to grow containers with food, or brilliant, fragrant flowers is up to you. 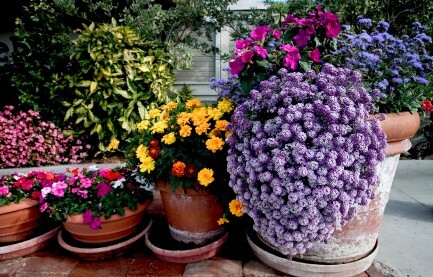 Our ideas for container gardening with flowers will brighten up your garden for the entire year! Turn your patio space into a container herb garden, or plant bursting displays of flowers using our simple recipes. We'll teach you all you need to know about patio gardening and other great locations for your beautiful displays. All leading to a more creative and successful flower gardening experience. Make your garden even greener with these fun container gardening ideas. We've found people who plant their herbs, flowers, veg and salad in old toys, junker cars, Wellington boots, even a broken doll's head. If you've used something fun as a planter, then please share your ideas, pictures and tips! 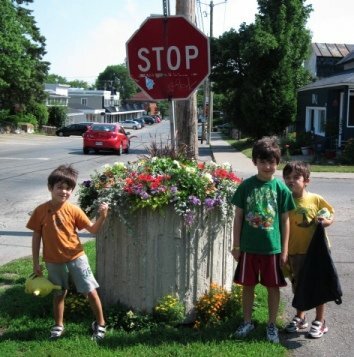 Looking for a cute new way to get your children interested in container garden projects? 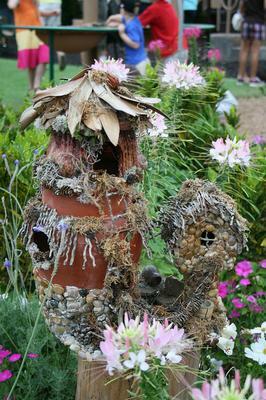 See our article on miniature Fairy Garden ideas to be inspired! They're super-cute and easy to do, and yes, even boys will be enchanted (as long as you sell it the right way to them...). The great news is, you don't need much to be a successful container gardener. A few basic tools and supplies, some imagination, and the desire to learn a few skills, a little daily maintenance... and you're set! Whatever you want to achieve from your box gardens, stop dreaming... we'll work together to make it a reality. More and more of us live in cities. Our jobs tend to "uproot" and move, and that means our families must move with them. Space in suburbs and city centers is at a premium. At the same time, the growing awareness of industrial farming practices, and what might be in the food we're feeding to ourselves and our children, has created the burning desire within a new generation to grow our own fruit, vegetables and herbs. 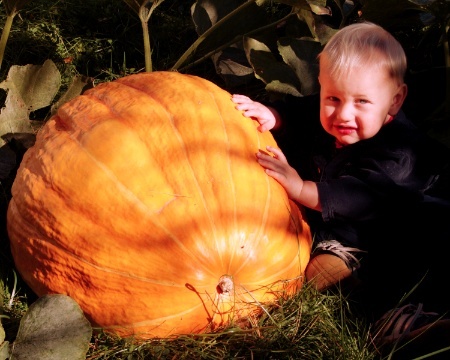 This is the 'perfect storm' behind the huge growth in this fun form of gardening. 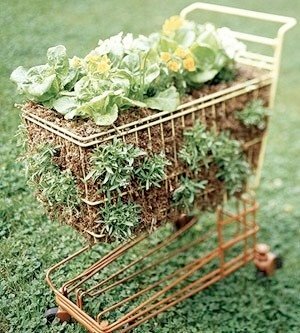 Ideas of planting a few pots of herbs, or a tomato plant or two, soon grow into more ambitious plans. Before long, you're building containers to cover up your useless lawn space, and harvesting dozens of varieties of peppers, artichokes, carrots, salad, greens, onions, and delicious fresh herbs (try going back to those tasteless dried flakes in the jars after cutting your own mint or rosemary!). Throw in some flowers, and a previously dead space can suddenly bloom into a brilliant, productive miniature garden, on your patio, porch, lawn... even your rooftop!